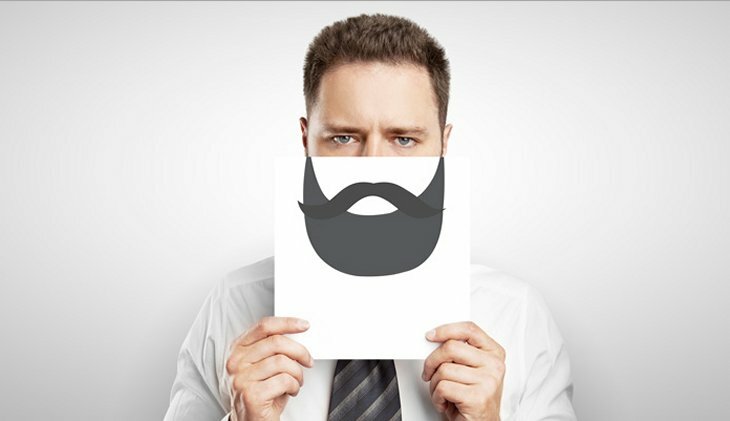 Blog What are the Most Amazing Beard Types and How to Grow Them? For every man there is a beard style and figuring out which one is right for you can be a nightmare. You might find yourself in a beard rut. Changing up your beard types can give you an entirely different look. No matter what you are looking for in terms of effort and facial hair type, there is a style that caters to your style. Even if you are looking for something bolder and more unique, this is a good starting point to launch your creativity. 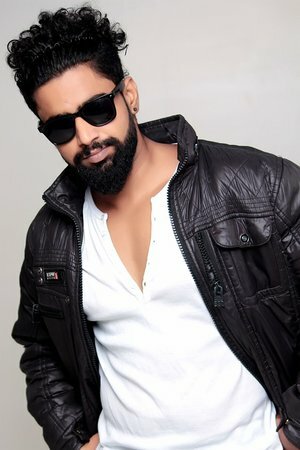 Here is all the information you need on modern beard styles, how to get them, and how to maintain them. This may very well be the most popular beard in all of history. It is the first thing that comes to mind when people picture a beard and for good reason. If you have the facial hair for a full beard, then this is most likely one of the best beard choices for you. A full beard also happens to be the base for many beard types, so even if you want to go a step beyond a full beard, you might need to grow one anyway. It is the simplest beard on this list to style, groom, and maintain. Just let your beard do whatever it wants. It does sound almost too easy, but honestly, there just is not much that needs to be done to this low maintenance beard style. Long or short, it works well with any face and any hair type. Once it gets long and full, trim it once a week or so and you are good to go. The short-boxed beard is one of the more popular short beard styles and is almost as low maintenance as the full beard. It is a simple look and great for men who think a full beard is just way too much facial hair. It looks professional and classic, a style choice that is perfect for business or pleasure. A pair of clippers is a life saver for this look, because scissors are just plain annoying for trimming so much hair. Grow your beard out for 2-3 weeks and then just run the clippers over it with a 3-4 mm guard on it. Do the same thing once every 1-2 weeks. I recommend that you read my article on my top picks for beard trimmers by clicking here. This is really all you need to do for this look. You can use a bigger or smaller guard, depending on the look you want, but the idea is the same. Very low maintenance and perfect for a beard beginner. A goatee is a very versatile look, which can easily be changed at the drop of a hat. A goatee combines beard and mustache styles and you can do almost anything with it. It does take some effort though, you have to keep your cheeks and jaw clean of stubble and it can be difficult to shape, but once you have the general idea down, all you have to do is maintain. The best thing to do is let your entire beard grow out for 3-4 weeks before you try to get the shape of your goatee. Once you have a decent amount of hair, shave everything except the hair above, below, and 1 cm on either side of your lips. From there on out it is mostly just about keeping your goatee trimmed and your stubble shaved. The sky is the limit with a goatee. You can ditch the hair above your lip, in favor of a chin only goatee. Or your can shave all the hair just below your lips, leaving the hair on your chin and jaw. There really is no right or wrong when it comes to the shape of a goatee. Now we are getting into the more high maintenance styles and there is no better place to start than with the Balbo beard. This beard is characterized as having shaved cheeks, with a detached mustache. This is a creative look, because the type of mustache you choose is entirely up to you. To get the Balbo, get a few weeks of hair growth and then shave everything on your cheeks, leaving a mustache. Shave the hair on either side of your lips all the way down 1-2 cm below your bottom lip. Experiment with your mustache to get a unique look that suits your personality. The Hollywoodian is very similar to a full beard and a short boxed beard. The main difference is that your facial hair is focused on your jaw, with clean shaven cheeks and a strip connecting your bottom lip to your chin. The hair can be long or short, but it is generally styled with either short or medium hair. All you have to do is grow out your entire beard for a week or 2 and then shave all the hair on your cheeks, leaving a thick line of hair on your jaw. Again, it is easiest to maintain this look with clippers and a guard. A trim once every week or so will do the trick. This is a neat and trimmed look for the more adventurous beardist. This style involves a good deal of styling and trimming, but the payoff is well worth it. This is a long or short style that has hair gradually growing into a point of hair on the chin. You will need quite a bit of facial hair for this one. Start by just growing a full beard for a couple of months. You have to have some longer hair on your chin that you can actually shape into a point. Once you have enough hair, use scissors to trim your hair, starting at the longest hair on your chin and work up. Angle the scissors along your jaw and remember to trim a little hair at a time. It is much easier and quicker to trim a small amount then to chop off a large chunk, which will ruin the look, forcing you to regrow all that hair. You do not have to be a Trekkie to rock a Klingon beard, but you might need some clippers to make the job easier. This look involves a strong line of hair on the chin, with a strip ½ cm wide going up to either corner of the mouth and a 1-2 cm strip from the chin to the bottom lip. This look requires a bit of extra care, because on top of shaving your cheeks, you also have to shave your upper lip. Let your beard grow for a couple of weeks and then shave everything on your cheeks, mustache, and down to the beginning of your jaw line. The trademark for this look is the 2 small strips of hair going to the corners of the mouth and the strip in the middle of the chin. This means that you will have to define those strips, shave in-between them, and maintain the space to keep is clean shaven. You will definitely need some clippers and a good razor. Clean up your cheeks first, and then decide how big you want all the strips to be. Then carefully define the shape and clean up around them. If you are worried about ruining the look, make the strips a bit bigger than you think they should be and then you can trim them up later when you have the look you want. A Chin Strap is really just a strip of hair that can help define your face and give dimension to an otherwise underwhelming chin. This style is usually short or medium in length. It is easy to get and maintain, all you need is a razor and maybe scissors. You basically just grow your beard out for a week and then shave everything except a strip directly under your lips that is 1 cm wide. It can be 3-4 cm long, or more depending on how unique you want it. You do have to shave often, otherwise it will just turn into a full beard, but it is a great minimalistic look. You might also know this as the ‘Wolverine style’ because Hugh Jackman single handedly brought this look back. It takes confidence to pull it off, because this is not a look for the easily discouraged or faint of heart. It is, thankfully, easy to get and maintain. Grow a full beard and then either trim or shave the hair on your chin. That is basically it. How much you want to shave off your chin is up to you, as is how long or short you want it to be. This is a super easy and cool look, if you can pull it off. To keep the look, just shave and trim every few weeks. There is no clear cut way to have your chin hair, because mutton chops with a bit of stubble on the chin still looks good. This is a great look for someone who wants a beard, but also feels a bit lazy from time to time. The Zappa is not to be confused with a goatee. A goatee puts emphases on the chin, while a Zappa puts equal focus on the unconnected chin and mustache. This is a high maintenance looks that needs to be groomed often. To get the Zappa, grow a goatee and then disconnect them. Alright so it is a bit more complicated than that, but the idea is on the right track. You will need to grow out your facial hair for a month or 2. After you have a good amount of growth, shave everything on your cheeks and your jaw all the way to the beginning of your chin. Shave the hair on either side of your mouth and 2 cm below it as well. You will have to shave every few days to keep this look neat and well groomed. The type of mustache is really up to you. You can go for a Handlebar, a pencil, or even a chevron. You can be as daring as you want or as low key, so try different types of mustache to see what looks good on you. So you have your beard and now all you need to do is keep it. Your maintenance routine will change according to the different types of beards you have. However there are basics that you need to master, the least of which not being how to use clippers. You may have heard it a million times, but a good pair of quality clippers is an essential tool when managing any hair. Unless you are going for a super long look and plan to never cut or trim your beard (or any hair for that matter), you need a good pair of clippers. Shop around and find some clippers that are the best quality for your price range. For almost every short or medium beard style, you will need to trim it every 1-2 weeks with either clippers or scissors. It can be helpful to take some pictures of your beard once you have it the way you want. It will give you a good reference for the next time your trim your beard, so you have a better idea of what you need to do. The need for grooming and product use cannot be overstated. There are some things you simply have to do or products you need to buy in order to have a good beard. It is important to keep in mind that you get what you pay for and the cheap option will not cut it for some guys. There are 3 basic products that you should invest in, beard shampoo, beard balm, and beard oil. Your beard is hair, just like on the top of your head and it needs the same care. You need to shampoo it just as often, to prevent oil and dirt build up. 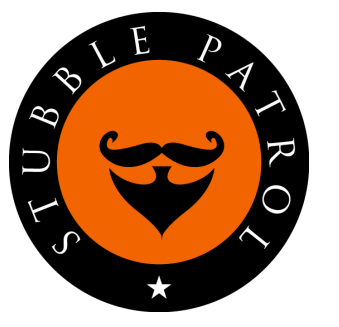 You have to use a balm to condition your facial hair and keep it looking hydrated and healthy. It is possible to get dry damaged beard hair and that never looks good. Use a beard oil to keep your facial hair smooth and free of dead skin. You will have to experiment with how often you use each product. A good trick to keep in mind is to decide what your beard needs. If it looks oily all the time, use beard oil a bit less often and shampoo it a bit more. If it looks damaged and frizzy, use shampoo less and balms and oils more. No matter what you decide to do, it is important to keep in mind that beards grow relatively fast and if you end up hating a look, just start over. With so many different styles of beards, you can get away with just about anything. Mix and match styles to get something that suits your style and personality. Some styles are going to look good and some will look horrible. It all depends on your face shape and bone structure, so just try a bunch of different things. The worst case scenario is you lose a few months of beard growth and the best case is you will find the perfect beard.